Zoom's diverse line of Voice over IP (VoIP) telephone adaptors includes models with a combination of FXO and FXS ports, products with integrated routing, and products that integrate both an ADSL modem and routing. All Zoom VoIP products use Session Initiation Protocol (SIP) the standard for voice communications over the Internet, and all products feature outstanding voice quality. 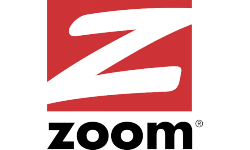 Many models feature the TelePort, Zoom's distinctive solution for providing reliable emergency calling, power fail over, and quick compliance with emergency dialing regulations.